Brow Lounge - San Diego's Best Brow & Beauty Salon Experience | Botox, Filler and Complimentary Brows from Brow Lounge! Botox, Filler and Complimentary Brows from Brow Lounge! 11 Dec Botox, Filler and Complimentary Brows from Brow Lounge! Sumi is widely known as one of San Diego’s premium Cosmetic Injectors and Skin Specialists. She is a registered nurse with over 20 years experience and has specialized in the field of Aesthetics for over 10 years. 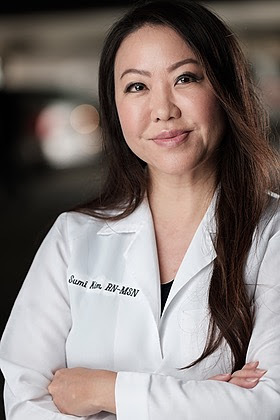 With her Bachelor’s Degree in nursing from Loma Linda Universtity and her Master of Science in Nursing from UCLA, she presents patients with individualized treatment plans that provide beautiful and natural-looking results. Now is the time to secure your appointment with Nurse Sumi from Brucker Plastic Surgery! Call Brow Lounge to schedule and get holiday ready all in one stop!